Wait some time (30-60min) for liquid to drain into the towel. DO NOT use hair dryer etc. 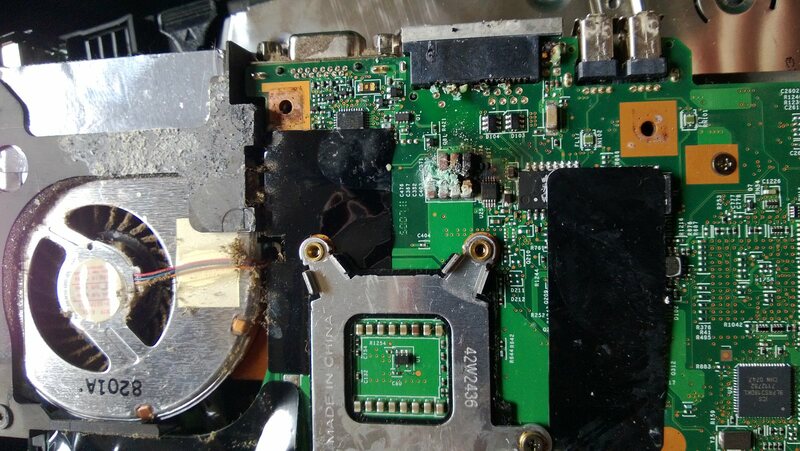 Do not plug in power or place battery back in to the unit. Bring the laptop to us as special cleaning will be still required. If you follow these steps, there is a big chance to recover your laptop without any damage to hardware and operating system. Dry any liquid which is out of the unit with wipes or towel. Disconnect the unit and bring it for inspection and cleaning.